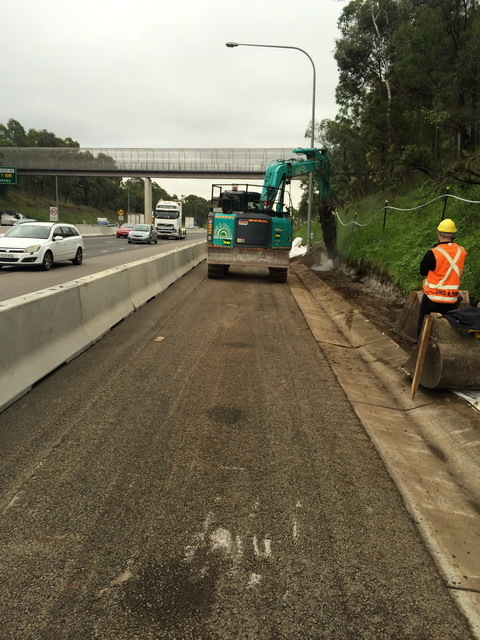 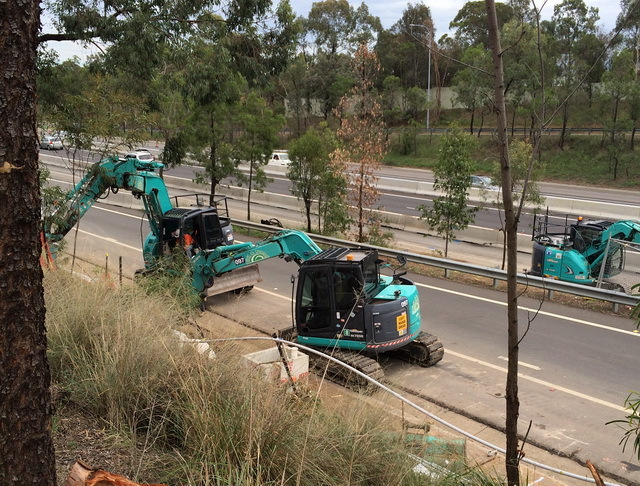 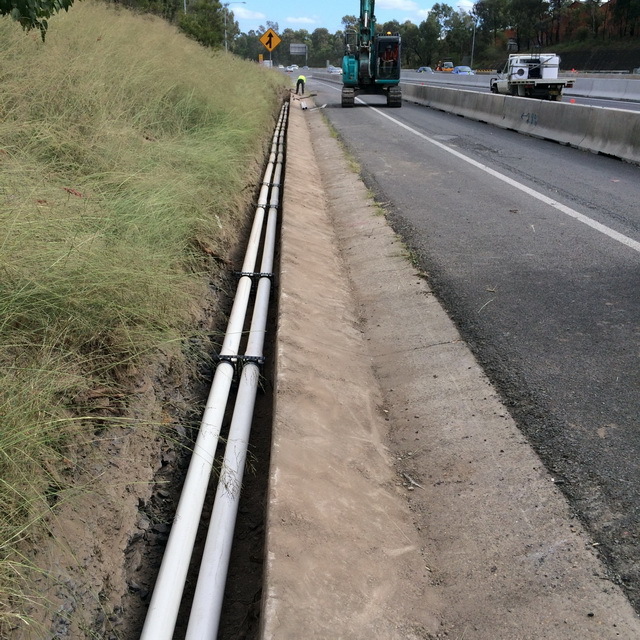 The project involves the upgrade of 22km of motorway from King Georges Rd to the M7 interchange at Prestons. Civil & Tunnel were contracted by Lend Lease to supply plant, labour and supervision (3 crews) to excavate and install 6km of highway drainage and precast pits to RMS standards. 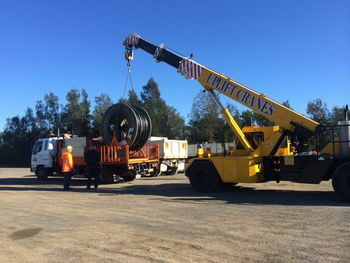 The pipeline was constructed in varying ground conditions along the shoulder of the M5 Motorway, which is one of Sydney’s busiest roads with over 100,000 vehicles using the Motorway on a daily basis. 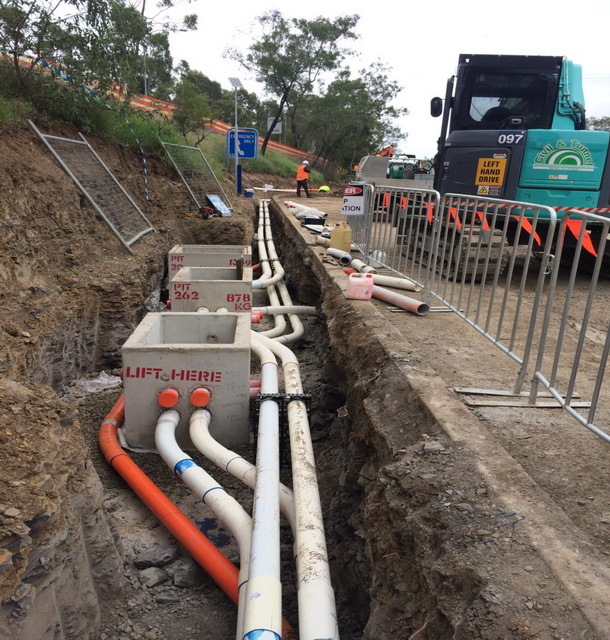 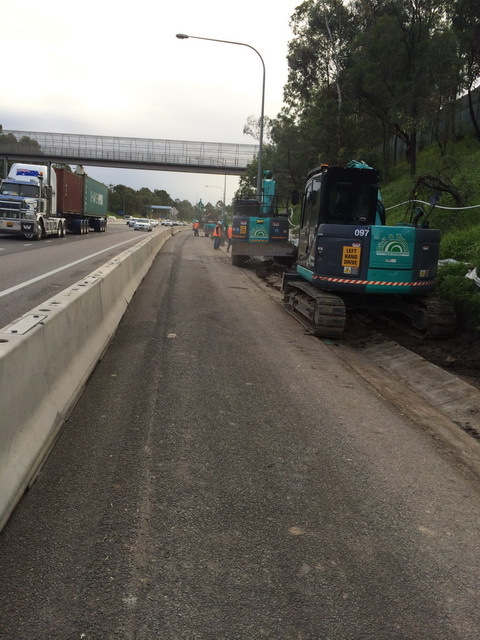 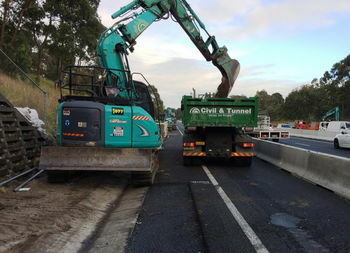 Civil & Tunnel were also contracted by Lend Lease to supply plant, labour and supervision (3 crews) to excavate and install 8km of conduit route and precast pits to Ausgrid standards along the shoulder of the M5 Motorway for the Operation Management Control System. 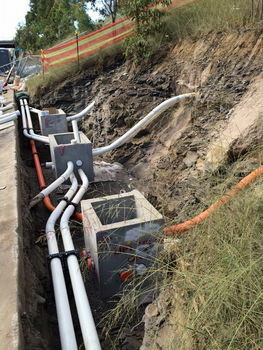 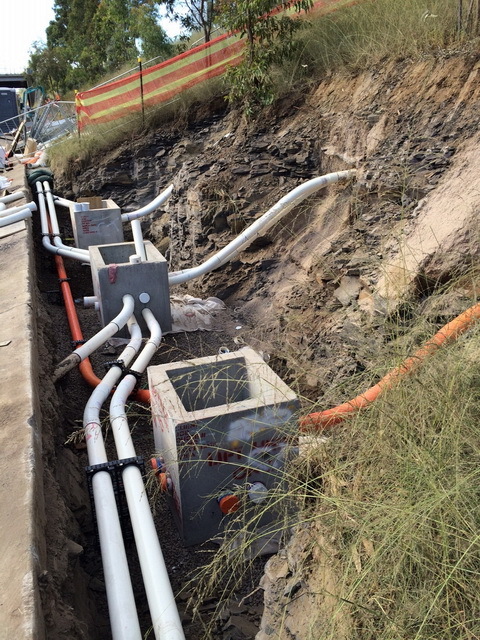 The works involved the installation and concrete encasement of up to 8 conduits (communication & electrical) in the trench, roping and mandrelling conduits, hauling subducts and jetline. 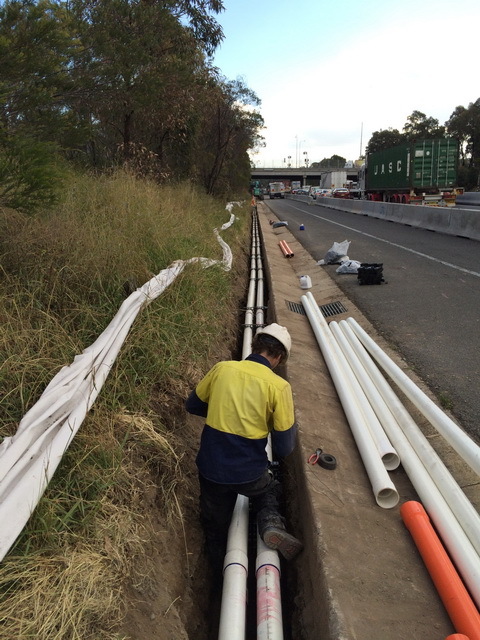 Civil & Tunnel also installed the galvanised transitions to the Salt Pan Creek and Hume Hwy Bridges for the conduit route.